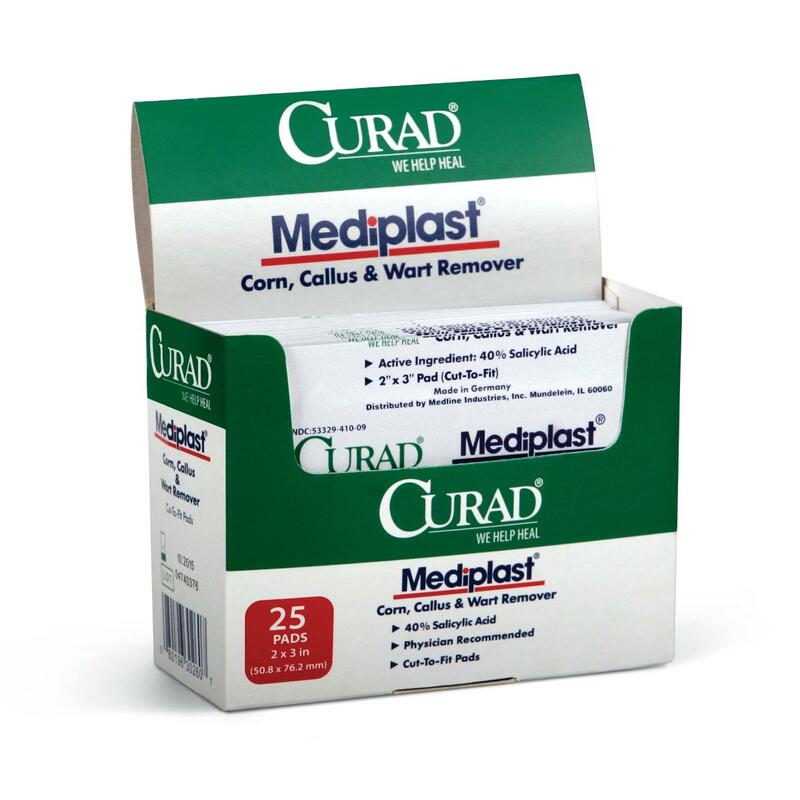 CURAD® MediPlast is an ideal product for corns, calluses and warts. Our cut-to-fit pads are convenient and easy to use. The active ingredient in MediPlast is Salicylic Acid(40%), the ingredient widely recommended by physicians and pharmacists for the removal of corns, calluses and warts.